A griffon vulture in Anopolis. 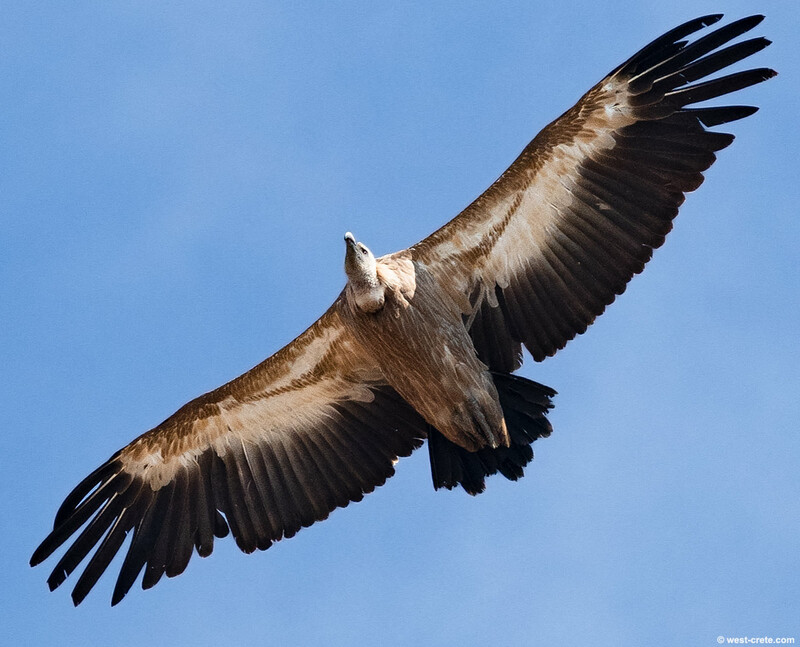 With over 400 individual birds Crete has the largest island population of griffon vultures in the world. This majestic bird has a wingspan of up to 2.80m and feeds exclusively on carrion.